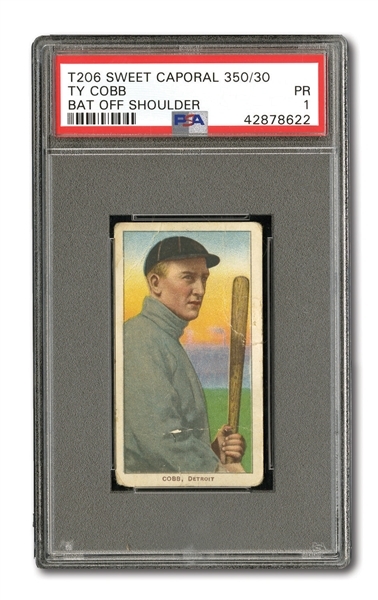 PSA PR 1 T206 Ty Cobb (Bat off Shoulder) features Great color and picture image. 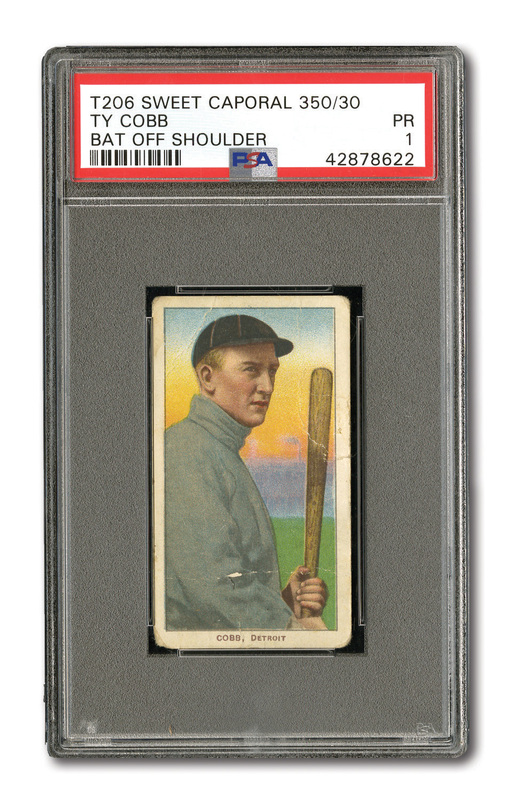 Rounded corners. Some creasing that does break the front paper surface. Tear on right side. Clean front and relatively clean back. Well centered. 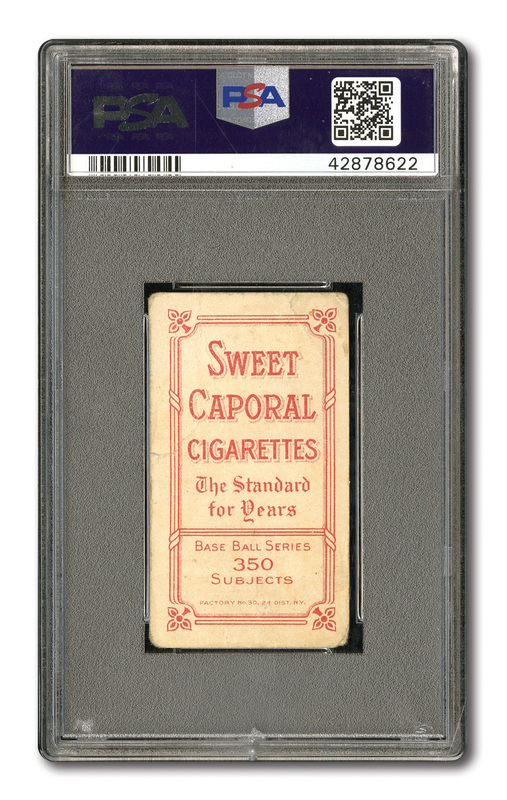 Sweet Caporal 350/30 ad back. Good eye appeal.